I am frequently asked if I would like to review a design, decor, or DIY book on my blog and I typically say no thank you. I am very choosy about which pitches I accept and what I think you would like to see. 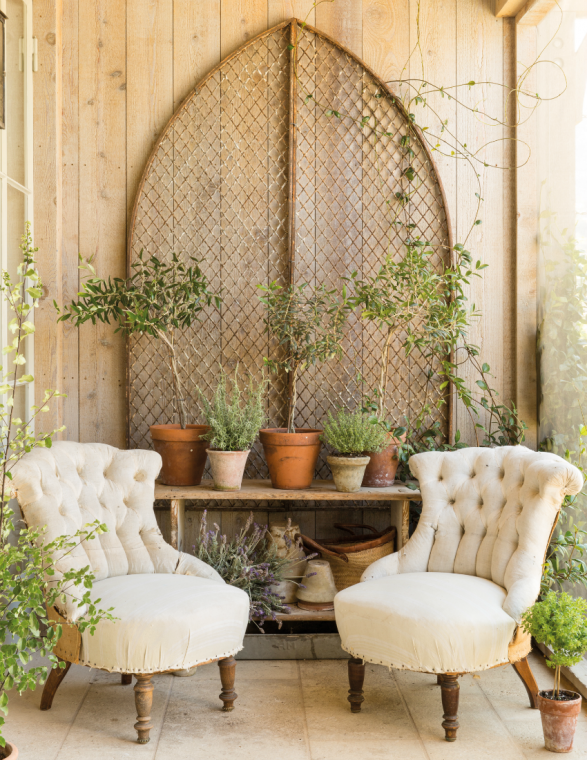 When I was asked if I’d like to review the newly released Patina Farm by Brooke & Steve Giannetti I didn’t hesitate to say yes! Brooke is the fabulous writer for the blog Velvet & Linen, and I’ve been a long-time fan of her work. 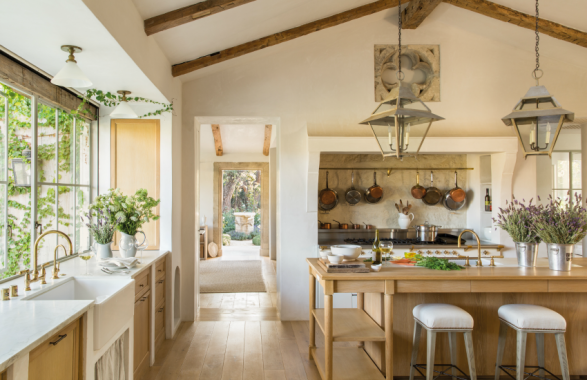 Her latest book collaboration with her architect husband Steve is a detailed account of their French-inspired farmhouse, Patina Farm, located in Ojai, CA. The photos in the book are beyond dreamy! I have a bunch of stress going on in my life right now and after flipping through the book I instantly felt more at peace with the world and my fellow-man. It’s like taking a $26 vacation to a French farmhouse! 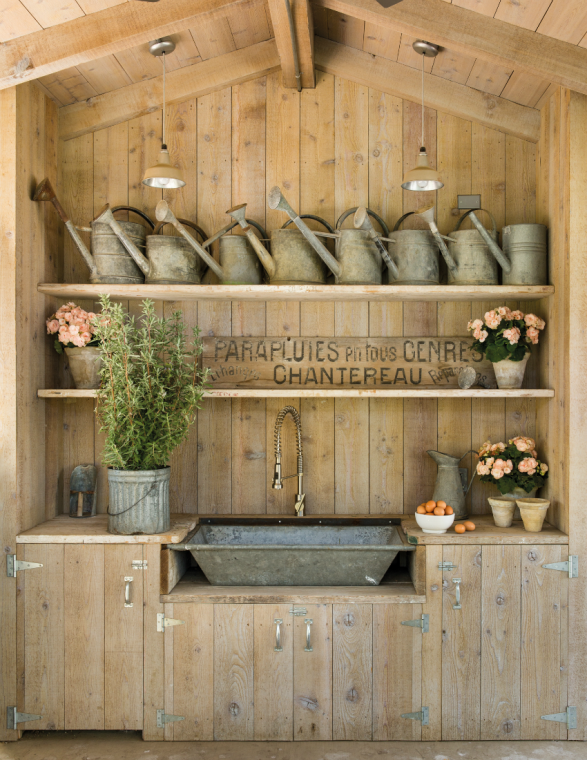 The book contains 150 photos and sketches of all that went into making Patina Farm a reality. 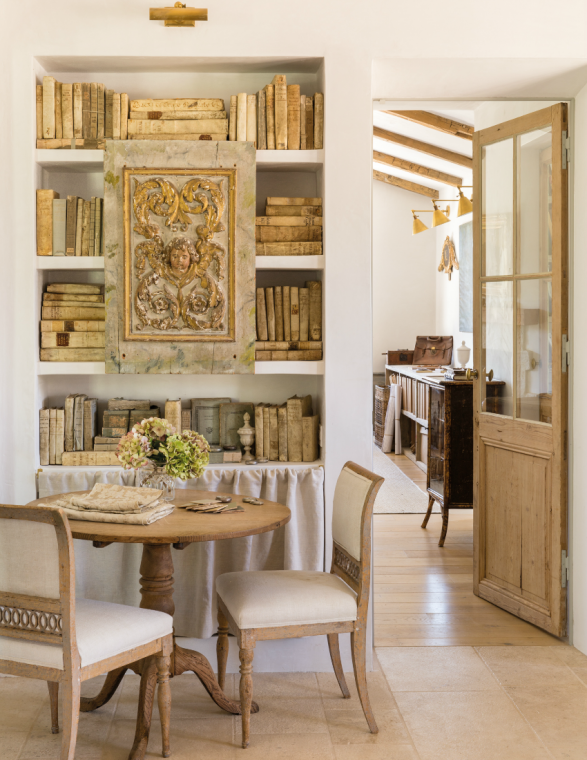 The cohesive flow of every room from outside-to-in feels exquisitely effortless—which typically indicates loads of pre-planning and forethought. 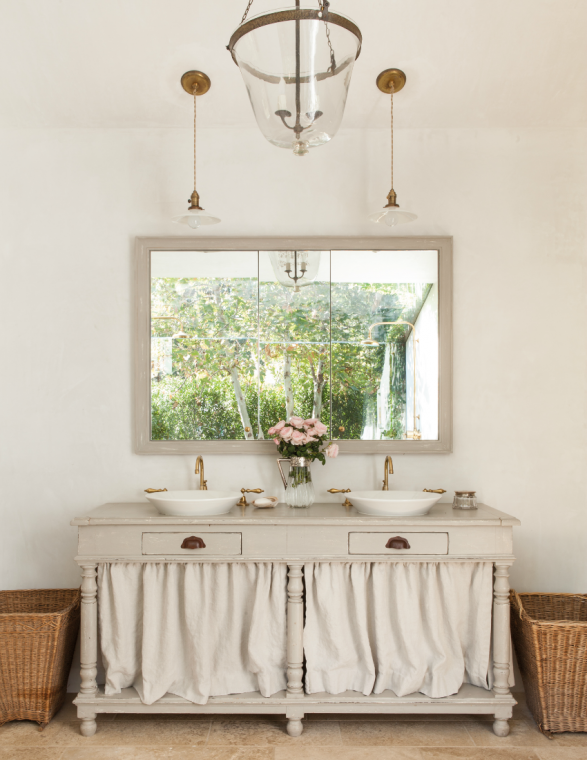 The design, details, and styling in each room is masterfully executed. I love the understated simplicity of the rooms. Nothing feels like it’s trying too hard. 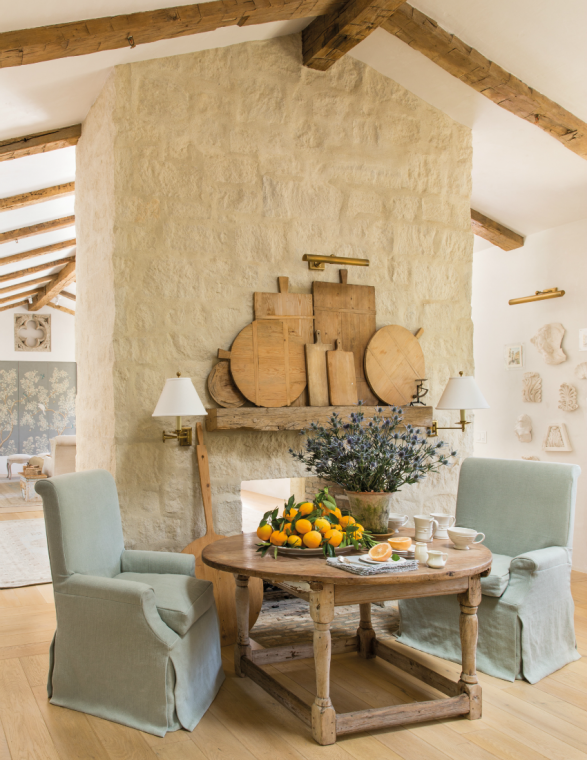 The farm is soothing, comfortable, casually chic, and welcoming. 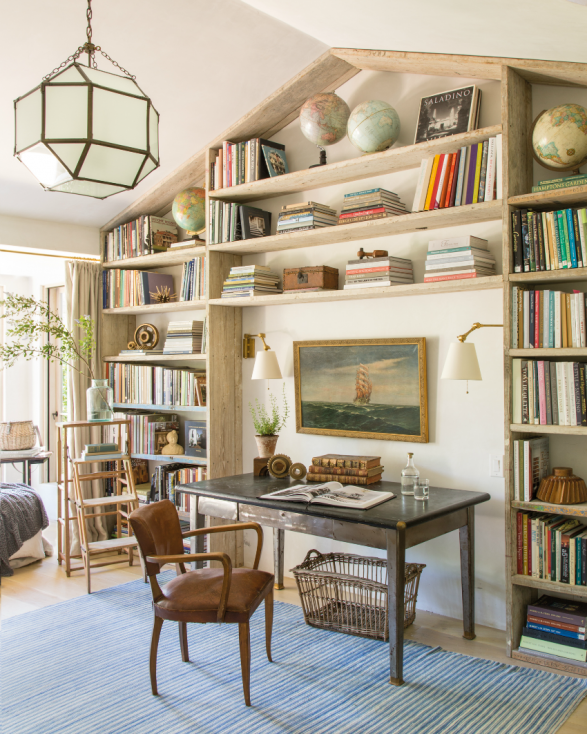 Scaffolding boards create a wall of bookshelves and a cozy surround for this bedroom workspace. What a brilliant way to make use of an empty wall! 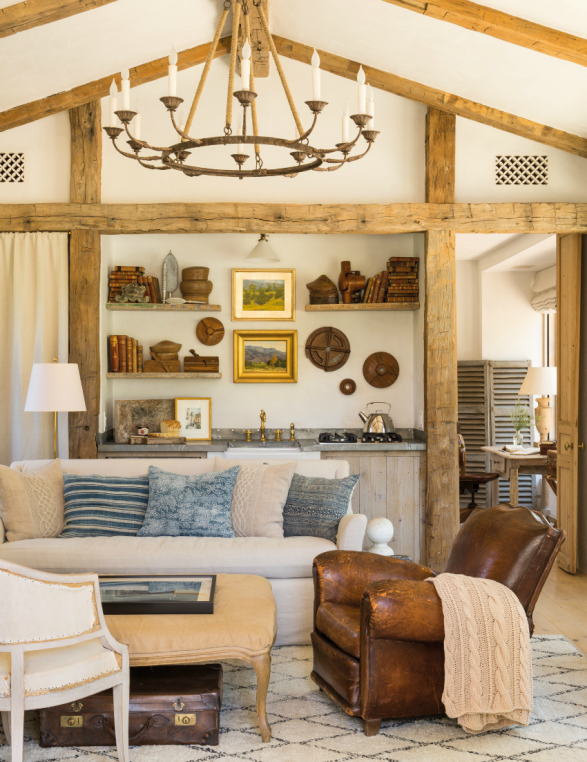 Exposed antique barn beams bring warmth, architectural interest, and continuity to both the home and guesthouse. 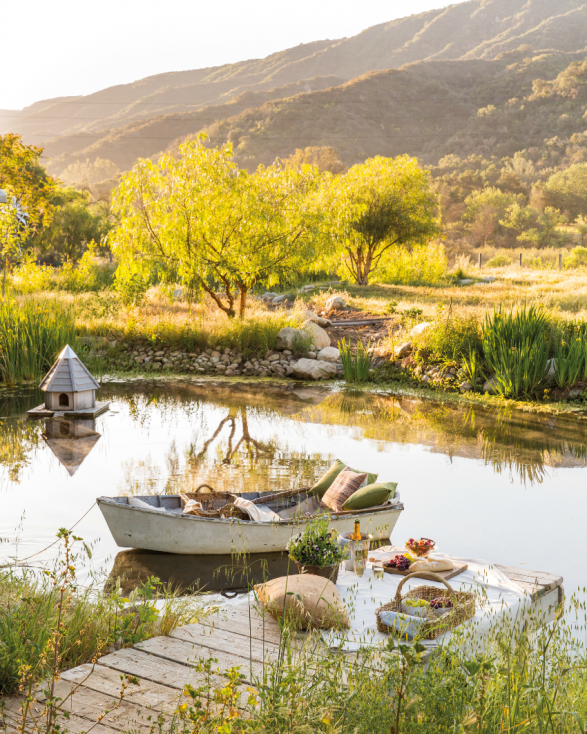 Can you believe this gorgeousness below is what is in the chicken coop? What a bunch of lucky ducks—er, chickens! And I will leave you with one final bit of magic from Patina Farm! Sigh. I would love to be sitting there sipping a glass of wine right now. I was only allowed to choose ten photos to share with you today and that choice was excruciating! I think you’ll love this book and it’s available on Amazon if you’re interested in checking it out for yourself. Click the picture below to browse the book. What a beautiful home! I promised I wouldn’t buy any more coffee table books, but it’s either that or I show up at their front door and beg to move in! Ha! We can go together. 🙂 Actually, she just had a bunch of bloggers and press over to her home for a tour so maybe they wouldn’t mind. 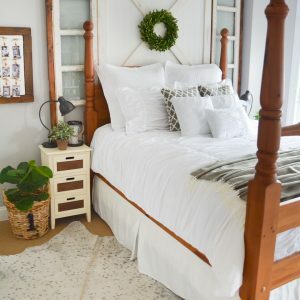 Google “French Country Cottage Patina Farm” to see Courtney’s up close and personal pictures! Thank you so much for this fantastic review, Beth!